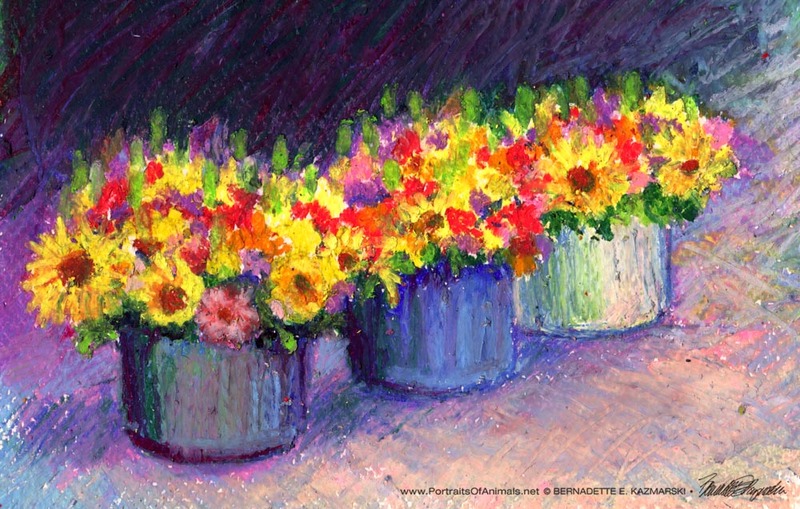 Three buckets of flowers for sale on the street corner, just waiting to be painted. I chose oil pastel for this painting because of all the techniques I’ve learned to use with it. The background of the flowers was really dull and I wanted to be able to create something interesting from it. I like the layering I can use with drawing on top of other colors and scraping areas away too. 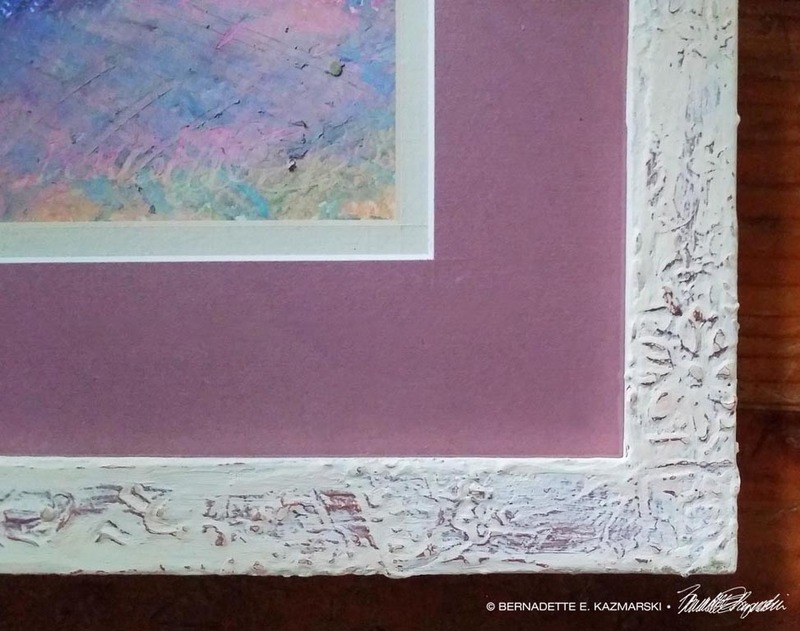 I can create an impasto with the sticks too, thicker areas of oil pastel that I can’t do with my regular pastels. I love the way I can build color too, letting areas next to each other influence each other and also intentionally drawing so they blend, and sketching with directional lines and crosshatches and all sorts of other techniques that create shape. I used watercolor paper so I’d have a little texture to work with. This was my painting from Day 25 of Leslie Saeta’s 30 Paintings in 30 Days Painting Challenge, September 2017. See other paintings in this and other painting challenges on the page Creative Challenges. 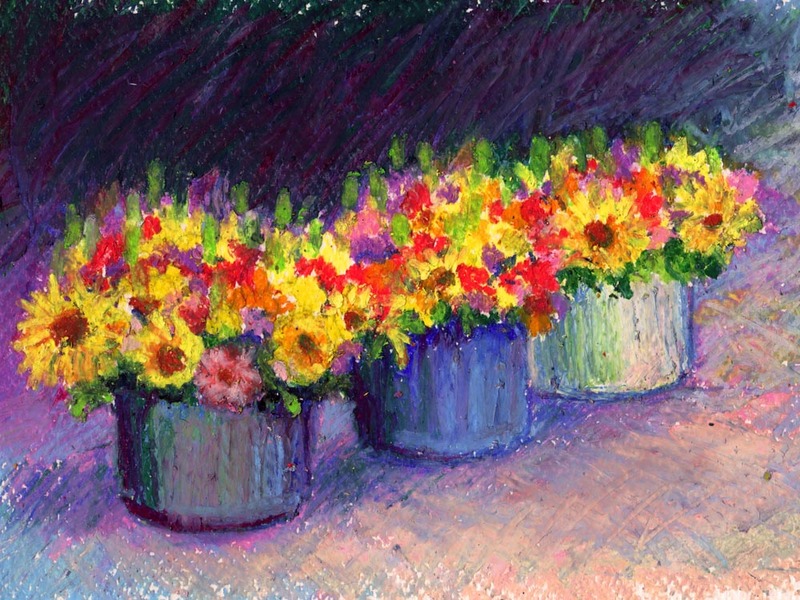 Flowers For Sale, Oil Pastel, 6 x 10, 2017. The original is matted and framed with a white frame I “fixed up” with a flower pattern I embossed on the face. Digital, giclee and canvas prints as well as greeting cards are also available.